Microsoft CEO Steve Ballmer spoke at the Executive's Club of Chicago today, reportedly informing attendees that a new Xbox 360 will arrive in 2010, one equipped with a "natural interface" and built-in camera. Sound familiar? According to TG Daily's recount of Ballmer's talk, in which he discussed "the role of innovation in changing economic times," the executive made mention of a new Xbox 360 configuration, one that Microsoft hasn't exactly denied. Either Ballmer has been reading 1UP, who recently ran a rumor that Microsoft would be re-launching the Xbox 360 next year with its Project Natal tech built into the device, or he's the CEO of Microsoft for chrissakes. It makes a great deal of sense to bundle the tech with the stock Xbox 360, as built-in support for a Natal-powered version of the box would ensure greater software support. And Microsoft's Shane Kim recently told Kotaku that the size of the launch of Natal would be on par with a new generation console launch. 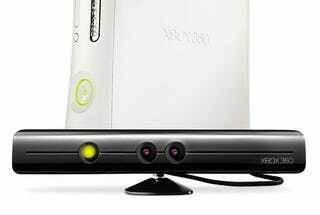 Clearly, Microsoft also has designs on launching a version of its motion and depth-sensing camera as a peripheral, so current Xbox 360 owners don't have to upgrade to an all new box. 1UP's story on the "Xbox Natal" indicated that the device would also see a hardware spec boost, but it appears Ballmer didn't drop details on that. We've contacted Microsoft to get one more comment on the matter and will update when we hear back.